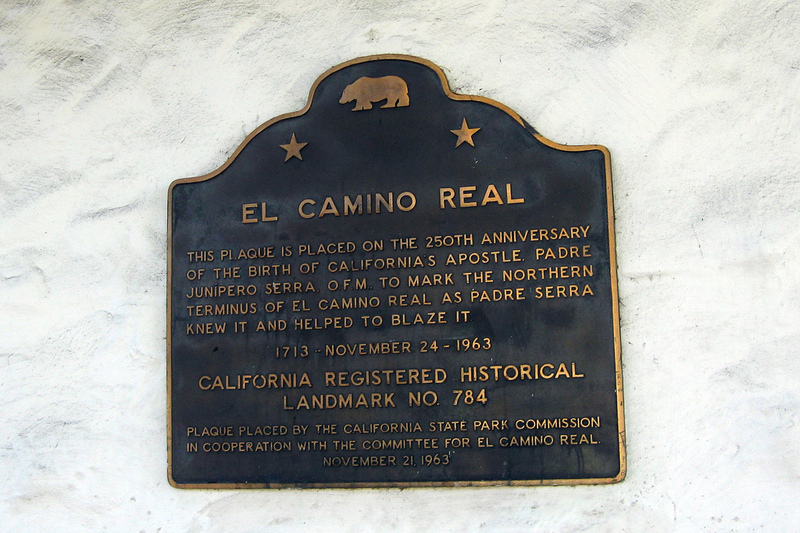 El Camino Real (literally, "the royal road") is the oldest and longest historical trail in the Western Hemisphere. 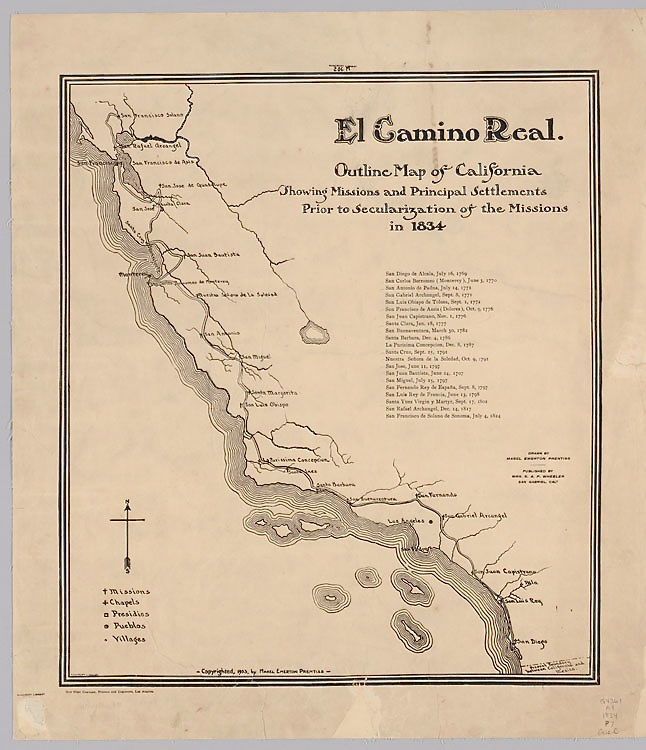 The transportation link has been called various names, including El Camino Real de Tierra Adentro (literally, "the road to the interior" because the U.S. frontier was seen as the country interior to Mexico), the King's Highway and the Royal Highway. It became a transportation lifeline that helped integrate Spanish and European culture in the Southwestern U.S. This trail was the first European inland transportation route in the continental U.S. and is considered the forerunner of the interstate highway system because it symbolizes the importance of regional and national road networks for political, social, defense, and economic gain. The roadway, which was in part composed of Indian footpaths and buffalo trails, began at Mexico City in 1540 and was developed over the next half century. ﻿The earliest network of caminos reales, which connected the governmental center of New Spain, in what we now call Mexico City, with Spanish outposts in New Spain and in today’s United States, was based on old trade routes used by Aztecs and other Indian groups. The main long-distance trail led north from the Central Valley of Mexico between the Sierra Madre Occidental and the Sierra Madre Oriental, the principal mountain ranges that run north and south through central Mexico. The trail led to settlements such as Paquimé, a small city (now called Casas Grandes) that existed until about 1300 in today’s Mexican state of Chihuahua, 150 miles southwest of El Paso. ​After Hernán Cortés conquered Mexico for Spain in 1521, the quest for precious metals sent the Spanish north on the old Indian trail. In the 1540s, silver was discovered in Querétaro, Guanajuato, San Luis Potosí and Zacatecas. As the Spanish continued moving north in search of ever-richer mines, the silver hunters and the mines required the protection of soldiers, as did the communities that developed around the mines. Missionaries also followed the ancient trail in search of souls to win. 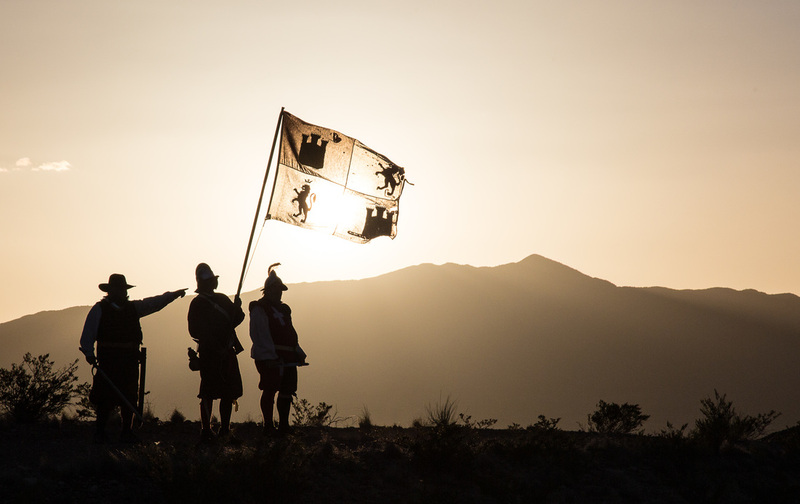 The Spanish, led by Juan de Oñate, crossed the Rio Grande in 1598, moving through the El Paso area into what became New Mexico. 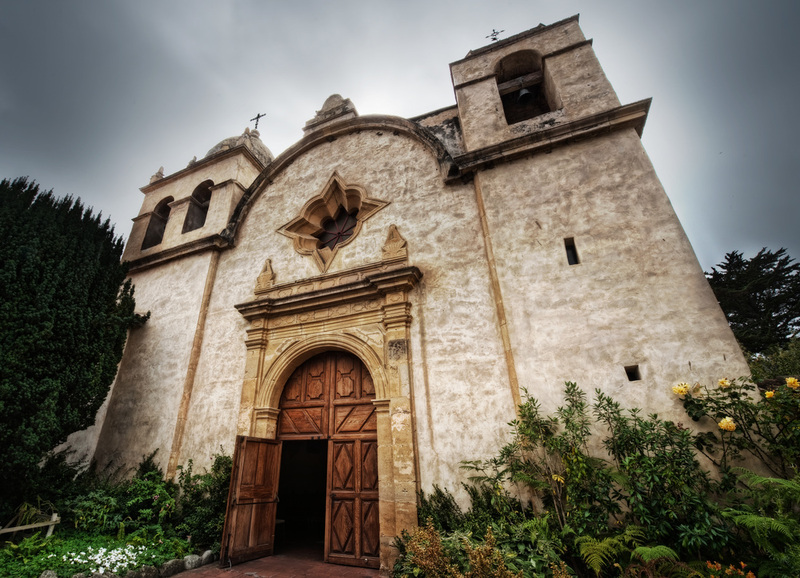 In 1610, provincial governor Pedro de Peralta established Santa Fe as the capital. To connect Mexico City with the provincial capital, the Camino Real was extended from Zacatecas north through Durango, Allende, El Parral, Chihuahua and Juárez to El Paso, Albuquerque and Santa Fe. As was true of the earlier Camino Real that extended from Mexico City to Santa Fe, large portions of the early routes across Texas were based on Indian trails of apparent antiquity that suggest a complex network of aboriginal movement, interaction and trade. The trails included portions of Caddoan, Coahuilteco, Jumano and possibly Sanan routes of travel.